LightSquared will soon put the entire US under a 4G hybrid satellite cloud. Forget all the anticipation being hyped up about Sprint bringing 4G to a city near you! Pretty soon it won’t matter what city is next on Sprint’s list for 4G coverage because the entire United States may soon be under a 4G satellite cloud. That’s right, the entire United States may soon be under a 4G wireless cloud! From remote areas, the depths of the Grand Canyon, the heights of the Appalachians, the far remote corn fields of Wisconsin – no matter where you are in the US, you’ll have instant access to 4G wireless broadband speed. According to PC World, an investment company has hired Nokia Siemens Networks to build a hybrid 4G-satellite mobile network, called LightSquared, across the U.S. to go live next year. Harbinger Capital Partners, which earlier this year acquired satellite phone service provider SkyTerra, announced on Tuesday it will pay NSN more than US$7 billion over eight years to design, build and operate the network. 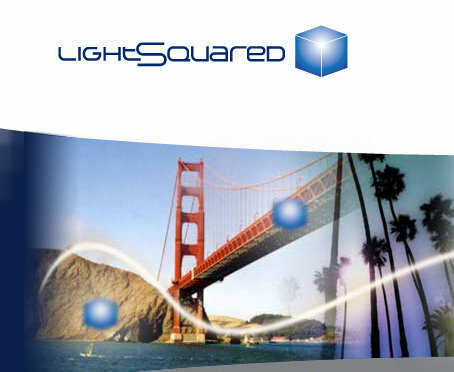 LightSquared will reach 92 percent of the U.S. population by 2015, the company said. It expects a commercial launch in the second half of 2011, according to the LightSquared website. Harbinger will not offer a service on the LightSquared network itself but will sell access to it on a wholesale basis, allowing for a variety of service providers that could include mobile carriers, cable operators, device makers, retailers and content creators. Those customers could offer any combination of 4G, satellite or both. The rapidly growing demand for mobile broadband makes a new 4G network seem promising, especially if it can reach poorly served rural areas via satellite. But Harbinger’s fully wholesale business model has never been tested on a national scale in the U.S., nor has the concept of combined cellular and satellite coverage. A 4G wireless cloud in the US will completely change the dynamics of mobile broadband access across all carriers, devices, and customers. People in remote areas of the United States that have never experienced the Internet will soon be blazing along at over 15 mbs on their 4G enabled devices. Suddenly, carriers such as Sprint will no longer have the leverage they have now from being the first, and currently the only, 4G broadband provider in the United States. It will be exciting to watch how this 4G satellite cloud develops – subscribe to SMSEO via email to keep updated. Satellite is well know for having extreme latency which prevents most online gaming, VPN and anything needing quick small data transfers. Will this hybrid solution solve those issues even in the rural areas? Current satellite is not a viable solution where 3G from sprint is working great for me. I would welcome the additional bandwith and competition, but not at the sacrifice of latency inherent with the physical limitations of satellite. I would be interested to see if the hybrid solution would be able utilize on-earth infrastructure for when I'm typing on the command line of a server, but be able to pump in the additional bandwith promised from satellite when I need to download or stream a large file.